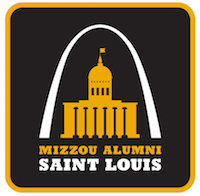 Join your fellow Mizzou fans and cheer on the St. Louis Cardinals as they take on the Miami Marlins. All fans purchasing a special Mizzou Night theme ticket will receive a Mizzou-themed Cardinals T-shirt! Come early for a pre-game pep rally featuring Truman, the Golden Girls, the Mizzou Band and many other special guests! Please note: The Mizzou-themed Cardinals T-shirt is available only with the purchase of a special theme night ticket and voucher, available here. You may pick up your Mizzou T-shirt at Riverview Corner, on the terrace level across from section 434, from 5:15 to 8 p.m. You will not be able to receive the item unless you have your voucher with you at the event.